As announced early in February, Virgin Australia has this commenced operating an additional four flights per week between Bundaberg and Brisbane and an extra eight flights per week between Moranbah and Brisbane. The new services to Bundy - operated by Virgin Australia Regional Airlines (VARA) 68-seat ATR-72 turboprops - depart Brisbane at 5.05pm on Sunday and Monday afternoons, with the return flight departing from Bundaberg the next morning at 6.10am. Virgin now operates nine-return services to Rum City. Meanwhile, with the eight extra flights to Moranbah, Virgin now operates into the mining hub some 21 times each week. It appears that Seair has started operating a closed Fly-in Fly-out (FIFO) charter into Middlemount from the Fraser Coast. Seair Cessna 208 Caravan VH-VCW at Bundaberg Airport in early 2013. Last Monday 17 February, Cessna 208 VH-LMZ flew into Middlemount from Maryborough before later departing to Hervey Bay, while this week on Thursday 27 February, fellow Caravan VH-VCW arrived early into Middlemount from Hervey Bay, before later departing to Maryborough. Meanwhile, Nitro Drilling (Nitro Aviation) Raytheon B300 Super King Air VH-NDT continues to call into Middlemount at least 2-3 times each week, generally from the Sunshine Coast. VH-NDT at Middlemount Aerodrome late last year. It shall be interesting to see if these new Seair flights continue into the future! 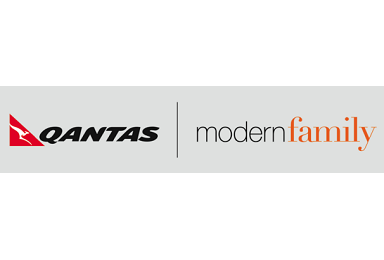 On Tuesday 25 February, the cast and crew of US sitcom "Modern Family" touched down at Hamilton Island Airport on board a specially chartered Qantas Boeing B737-800. The B737-800 - VH-XZK - flew into Hamilton Island from Sydney as QFA1350, before ferrying back to Sydney as QFA6161. Of note was that VH-XZK was wearing special titles to highlight the partnership that Qantas has in bringing the cast and crew of the popular TV show down to Australia. Sydney plane spotter Bernie P (aka 'AussiePomm') captured a couple of great photos of VH-XZK at Sydney on Tuesday. He posted these and more superb images from Sydney Airport on his personal Flickr Photostream (http://www.flickr.com/photos/berniep/). It's also worth mentioning that Qantas applied the special titles to one of their Airbus A380 aircraft - VH-OQK - which flew the cast and crew to Sydney earlier in the week. Also touching down at Hamo on Tuesday 25 February were the Queensland Government (State of Queensland) Raytheon Hawker 850XP bizjet VH-SGY and Raytheon B300 Super King Air VH-SGQ, bringing Premier Newman and other Government officials to the Island for the day. Sincere thanks to Bernie for allowing us to share his photos of VH-XZK with you all! An interesting arrival in Rockhampton Airport on Tuesday 25 February was Australian Army Sikorsky S-70A-9 Blackhawk Helicopter A25-112. What made the arrival interesting was that the Blackhawk was using the radio callsign of "Redback 112", which until now, I thought was used at Army Kiowa helicopters. As shown, A25-112 carried additional external fuel tanks and was noted to arrive from the South and later depart further to the North. Of interest, at the time of writing, it is believed that another Army Blackhawk helicopter - A25-205 - was also at Rockhampton Airport on Wednesday 26 February as the radio callsign "Redback 205" was heard by local spotters. Also captured by local plane spotter 'IAD' at Rockhampton Airport on Tuesday 25 February was Surveillance Australia / Australian Customs and Border Protection Service Dash-8-200 VH-ZZI, which arrived from parts unknown as "Customs 77". Thanks for the great photos mate! And Snoopy Has Been Spotted at Gladstone Airport Too! This very attractive little Cessna 150 VH-ZPY was spotted by Jamie arriving into Gladstone Airport earlier this week on Monday 24 February. Children's cartoon character Snoopy adorns the tail of the little Cessna with the titles "Curse you Red Barron!" Our Airline / Air Nauru Boeing B737-300 VH-PNI Visits Gladstone Airport Again! Visiting Gladstone Airport again on a Fly-in Fly-out (FIFO) charter flight from Brisbane on Monday 24 February was Our Airline / Air Nauru Boeing B737-300 VH-PNI. It appears that Our Airline has a FIFO contract that sees one of their three B737-300 aircraft - VH-PNI, VH-NLK and VH-INU - visit the industrial city every nine days. VH-PNI arrived into Gladstone as RON914, and departed back to Brisbane early on Tuesday 25 February as RON915. Sincere thanks to local plane spotters Jamie and Tash for sending through these awesome images of the attractive little B737! Toowoomba-based Light Jets Australia Cessna 525 Citation CJ1 bizjet VH-TFW was noted at Biloela / Thangool Airport and later Rockhampton Airport on Monday 24 February. Local plane spotter 'IAD' managed to capture a photo of VH-TFW at Rocky parked in a difficult spot for photos! It eventually departed to Archerfield. Meanwhile, Business Aviation Solutions Cessna 750 Citation X bizjet VH-RCA touched down at Hamilton Island Airport from Sydney on Saturday 22 February. It departed back to Sydney on Sunday 23 February. And finally, Homada Pty Ltd Cessna 560XL Citation XLS bizjet VH-XCU, which arrived at Hamo the previous week, departed back to Melbourne (Essendon) Airport on Saturday 22 February. Touching down from Brisbane late on Sunday 23 February was Bechtel-operated Dassault Falcon 900EX bizjet N980SF. N980SF is no stranger to Gladstone Airport, visiting late last year with sister-ship N970SF. This time, N980SF arrived from Brisbane, where it had earlier arrived from Singapore. At the time of writing, N980SF remains parked all closed up on the Eastern end of the Gladstone Airport apron. Thanks to local plane spotters Jamie and Tash for sending through these great photos from Sunday night! A special post from CQ Plane Spotting as Qantas Airways operated its last 'classic' Boeing B737 passenger service on Sunday 23 February, with B737-400 aircraft VH-TJS and VH-TJX operating their final flights into Melbourne before retirement. VH-TJX 'Stawell' operated as QF815 from Canberra to Melbourne, while VH-TJS 'Jabiru' operated as QF819 from Canberra to Melbourne, marking the final flight for the 'classic' B737s of Qantas Airways / Australian Airlines. The CFM56-powered B737 classic was introduced into Australia with Australian Airlines, which took delivery of the smaller B737-300 - VH-TAG - in August 1986. Later that month Ansett too took delivery of its first B737-300 - VH-CZA. 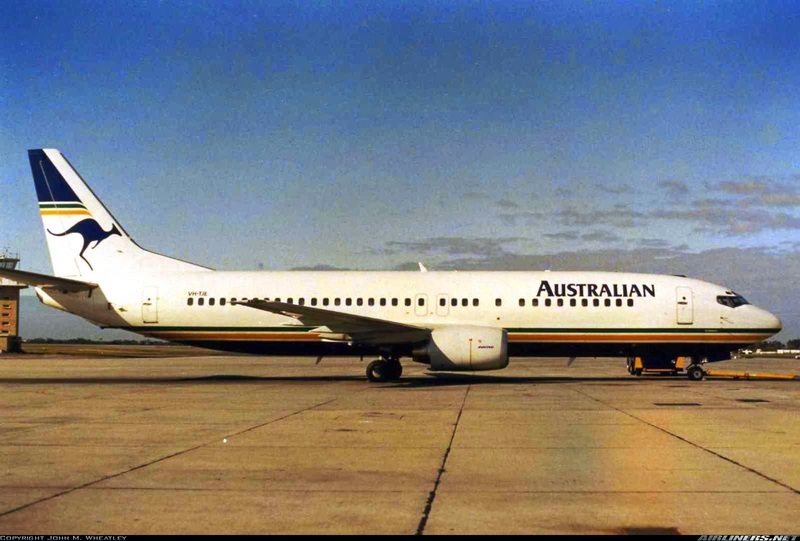 The first Australian Airlines B737-400 - VH-TJE - was delivered in December 1988. 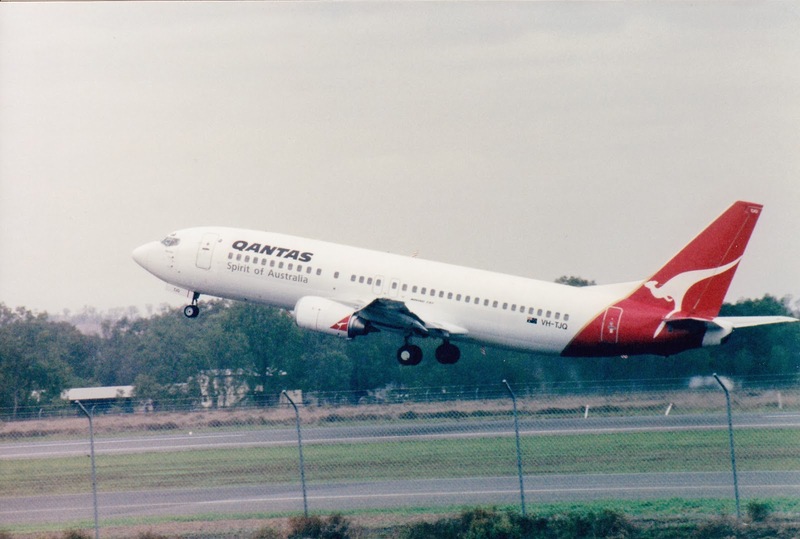 Both the B737-300 and B737-400 became a mainstay of the Qantas domestic fleet following the Qantas-Australian Airlines merger in 1992-93. VH-TJS was in fact the last 737-400 to be delivered in Australian Airlines colours. During the 1990s and early 2000s, Qantas B737-300s and B737-400s were a daily sight in Central Queensland, operating daily flights into Rockhampton, Mackay, Proserpine and Hamilton Island Airports. While Qantas now operates more than 60 'Next Generation' B737-800s, the 'classic' B737 continues to ply its trade in Australia for Qantas as a freighter, with four B737-300Fs remaining in service with Qantas Freight. In addition, Nauru’s Our Airline has three B737-300s registered in Australia. There are also B737-300 and B737-400 passenger and freight aircraft which also common sights at Australian airports, and occasionally Central Queensland Airports. 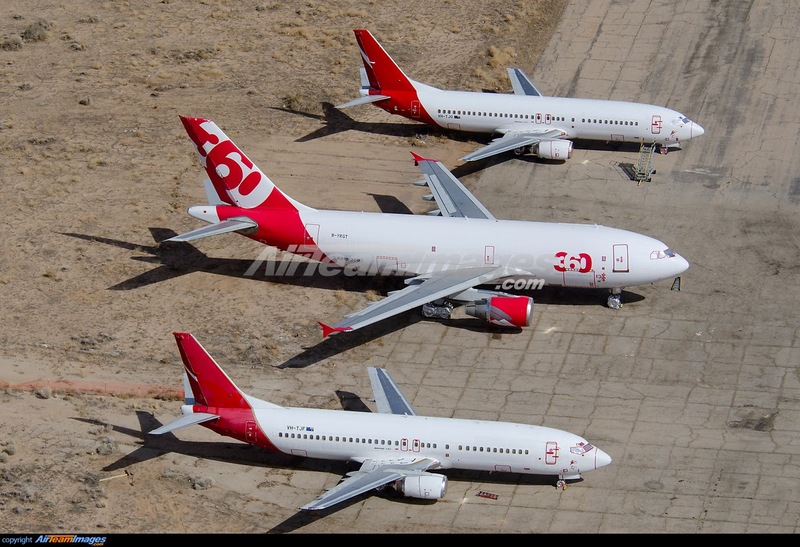 As shown below, the retired Qantas B737-400s have ended up stored at Victorville in the United States of America (USA). Additional information sourced from Australian Aviation. On Saturday 22 February, Alliance Airlines Fokker F-100 VH-FWI touched down at Longreach Airport on a charter flight from Brisbane. It operated in to Longreach as UTY580. It departed Longreach back to Brisbane on Sunday 23 February as UTY581. Meanwhile, last week at Longreach Airport, QantasLink had some maintenance issues with Dash-8-Q400 VH-QOC suffering a bird strike at Blackall on Wednesday 19 February while operating as QLK2352 from Brisbane to Longreach via Blackall. Later that night, VH-QOC departed back to Brisbane empty as QLK6705. Fellow Dash-8-Q400s VH-LQL and VH-QOH were summoned to Longreach, with VH-QOH eventually operating the delayed QLK2533 flight back to Brisbane. VH-QOC re-entered service with QantasLink on Sunday 23 February. QantasLink - Cobham Aviation - Boeing B717-200 VH-NXL Returns to Central Queensland - After a Year! As we know, QantasLink utilises Cobham Aviation-operated Boeing B717-200 regional jets on services into Central Queensland - Gladstone, Rockhampton and Mackay Airports. However, recently, B717-200 VH-NXL has returned to Central Queensland after not being seen in our skies for almost a year. Local plane spotters Jamie and Tash captured some great photos of the rare visitor as it recently visited Gladstone Airport on a scheduled service from and back to Brisbane. Great shots - thanks guys! 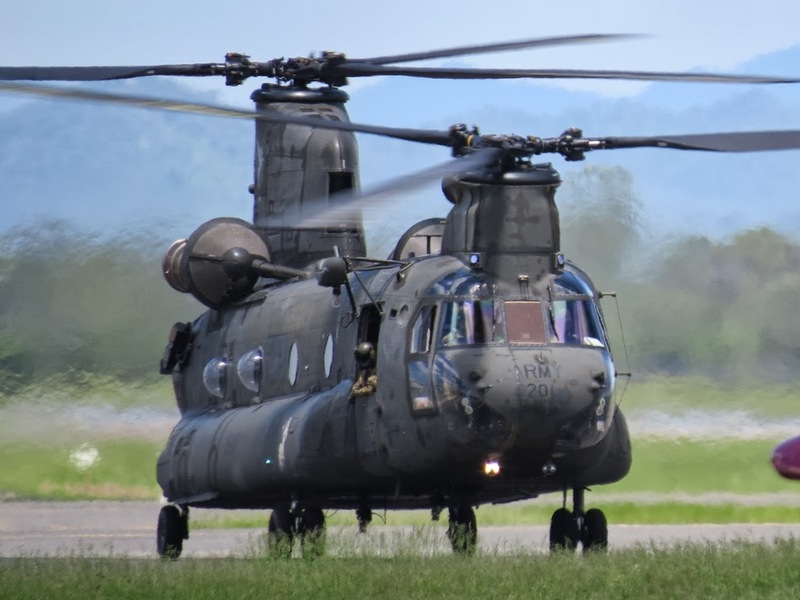 As Australian Army Blackhawk helicopters were calling into Gladstone Airport, up the road at Rockhampton Airport, Australian Army Boeing CH-47D Chinook helicopter A15-201 called into Rocky on Friday 21 February. The 'chook' arrived from the South, and made a spectacular arrival which was captured by local plane spotter 'IAD'. A15-201, which was was flying as "Brahman 201", also called into Rockhampton Airport this week on Wednesday 19 February. Thanks 'IAD' for capturing some great photos of the Chinook!